Regular sponsorship ranges from £10 to £27. However this depends on the child you choose to sponsor, the child’s education level, age and the level of sponsorship you wish to commit to. You can refer to each child’s profile page in order to view the details of the child. A full sponsorship usually ranges from £25 to £27. Inclusive: Safe drinking water, clothes, food, schooling fees and required equipment and healthcare for the child. 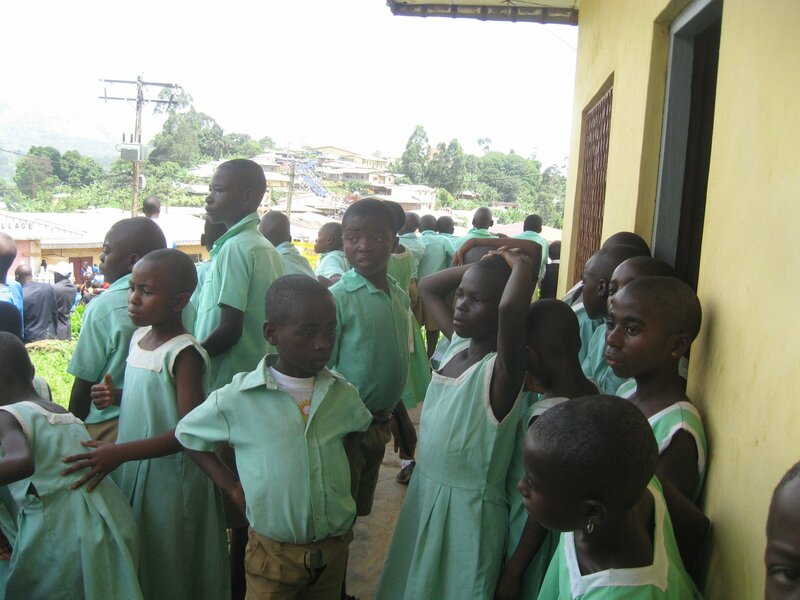 Some of the children have already attained funds for schooling and therefore the required sponsorship for such children is less than the full Sponsorship. These details can be found on the children’s profile pages. In such a case where a child does not require full sponsorship, you could choose to sponsor between £10 or £15. You can send your money here. 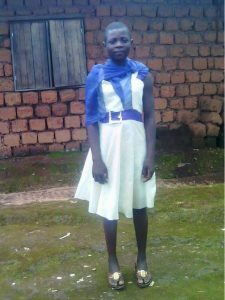 Yai Sandrine was born in 2004 at Meli, Fundong Sub Division of Cameroon. The mother is the one struggling to make ends meet for her education. 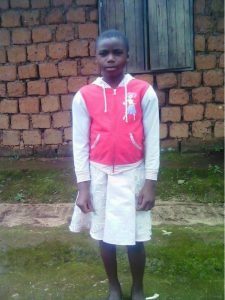 She does subsistence agriculture and with other children she finds it difficult to care for Sandrine now that she is going to secondary school. 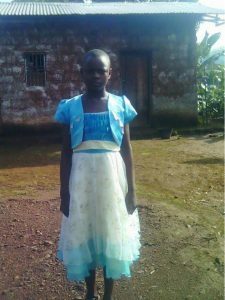 Yai Sandrine is going to secondary school at GHS Meli. Her favourite food is rice and beans. She loves everything green. She wants to grow up and become an environmentalist. Silvia Tufoi was born in 2004 at Ibal Meli. She is in class 5 at Government Primary school Ibali Meli. The sister Carosia Nasah was helping her but now that she is going to upper classes she ends it hard seeing that she has her own children to take care of. Silvia favourite dish is corn fufu and vegetables. Her hobbies are playing football and other outdoor games. Her favourite color is white. 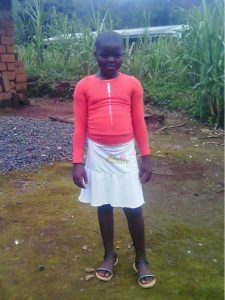 She would like to grow up and become a nurse or work with the medical department. Chindo Sandra was born in 2001 in Fundong. She has been a very brilliant child. 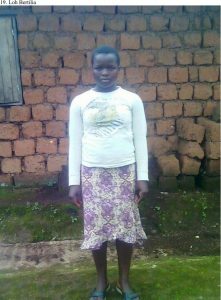 The mother struggled to help her through secondary school but ill health has been occasionally making life so difficult. 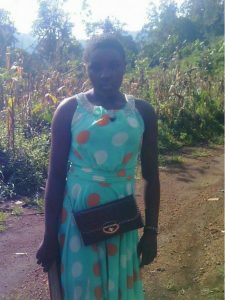 Her sister Nchindo Delphine is unable because she has no stable job and the demands of the family are varied. Sandra dream is to be a writer one day, to address the public ills through writing. Her favourite colour is red. Her hobby is reading. Amahngeh Kindness was born in 2004 at Ngwainkuma, Fundong, Boyo Divisionof Cameroon. 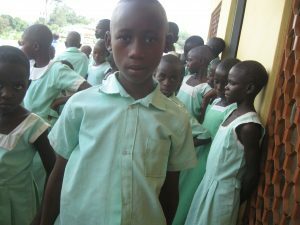 Kindness attends the Ibal Meli Government Primary school. She is in class 5. She had been helped by a relative. Confidence Mai as the mother does nothing for a living to health conditions and lack of expertise in other areas. Her favourite subject in school is history. Young as she is she thinks she will one day be a politician and fight for women’s rights. One thing noticed about her is the level of questioning. She questions so many things at once. Ngong Boris Ndichia was born in 2007. He lost the father but has been cared for by the mother Evelyn Kumi. He is in class 4 at GPS Fundong. His favourite colour is blue. He loves eating corn fufu and rice. He also loves playing soccer. His dream is to grow up and become a motor mechanics expert. Ndim Wilma was born in 2004 at Meli- Kom. 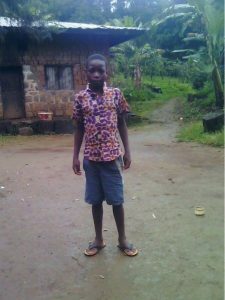 He is in form 2 at the Meli Government High School. 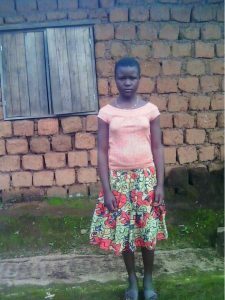 The mother Paence Bik has been struggling to fund his education but it has had many lapses because the girl usually does not have the basic school needs. Most of the time she is sent home for fees issues. She loves knittng with a thread. Her favourite subject in school is English. Her dream is to one day have a good job and help her family. Yong Marinne was born in 2002. 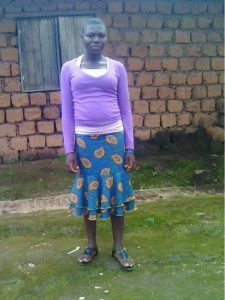 She attends IbaliMeli Government High School. She is in form 5. It becomes even more challenging for the relative who has been helping her. Her favourite subject is Biology. Her dream is to become a doctor one day. He favourite food is water fufu and eru. Ngam Janel Naih was born in 2003 at Fundong. She is in form 2 at the school in Meli. She has been helped by a relative who also has a large family to care for. Her first two years in secondary school have been very challenging. 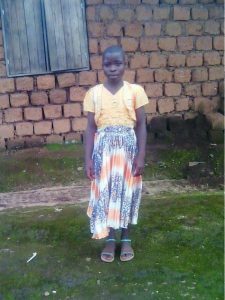 Late payment of fees, lack of books and other school needs have characterized her time in school. She is so excited about her education and will love to be a teacher one day. Her favourite colour is yellow. She loves eating plantains and beans. Chia Quirinne was born in 2003. 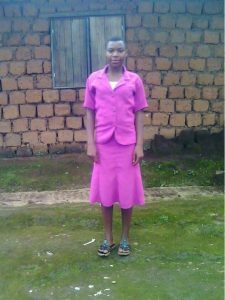 Chia Quirine Nena attends the Government secondary school at Meli. She is in form 5. She has reached this level through the efforts of her mother who sells vegetables to see that she has a good education. At the higher level the burden is just too much for the large family. She had considered dropping her education but has been encouraged by the teachers for she is a brilliant child. Her favourite color is green. 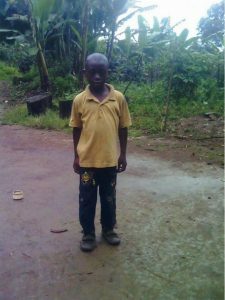 Ngam Cydwan was born in 2004 at Ngwainkuma Fundong. She is class six at the primary school in Meli. The relative used to help her but is unable now since he has a family to care for. Very soon Ngam Cydwan will be going to secondary school but she is not yet certain if she will go. He favourite subject is Arithmetic. Her dream is to work in a bank one day. She loves the blue colour. Her favourite sport is handball. Yerima Brandon Chai was born in 2003 at Atoini Fundong, Kom. He is in class 4 at GPS Ibal. He has no one to care for him except the mother Ngong Clara who has no job doing. She can only help from the little earnings from her farm. With a large family things will not be easy for Brandon’s education especially now that he is approaching the upper classes. He loves the red color and also loves playing football. His best subject in school is Rural Sciences. Chuo Marbel was born in 2000. She is in form 5 at GHS Meli. She has been largely assisted by a relative. Mary has her other children is not working for a living. She subsists on agriculture. Mary is fond of Geograiv. Mary has her othphy. Her favourite sport is handball. Her favourite colour is white. Gwain Melanie was born in 2004. 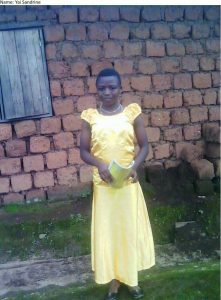 She attends the Government primary school at Ngwainkuma Fundong Sub Division of Cameroon. She has been taken care of by a relative. This was because she was still at the primary school level. Now bracing for college, the relative finds it hard to continue her assistance for it is simply not affordable. Melanie is good at General Knowledge. Her favourite colour isgreen. Her best food is rice. She loves watching Nigerian movies. Sharon Nain was born in 2004. She is in form 2 at GHS Meli. She has been helped by a relative. It is hard helping her because he already has a family of his own to take care of. Sharon is finding difficulties getting the basic school needs. The mother has no job and also no job skills. She depends on subsistent farming for a living and for the care of the children. Sharon’s favourite colour is red. She loves playing various local children’s games. Her favourite dish is garri made of cassava. She is good at science subjects. 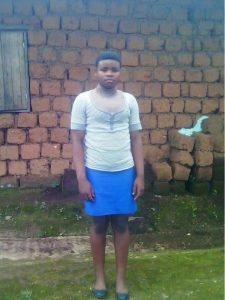 Wainkem Velma was born in 2004 at Atoini Fundong, Boyo Division of Cameroon. She is in form one at the Government High School. The mother struggling on her has been supported by a relative. Things have been very critical on them this while and it has negatively affected Velma’s education. Velma is good at History. She loves all kinds of sporting activities. Her favourite colour is purple. Her dream is to become an administrator one day, like the lady who is administrator at their school. Koin Nestor Mufua was born in 2006 at Fukohne Meli, Kom. 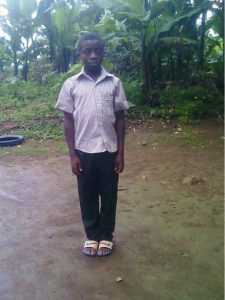 He is in Class 6 at the Government Primary School. The person who had been helping him in school has been a relative. 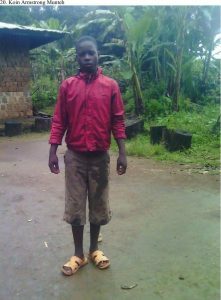 He has gone quite old, retired and is unable to help Koin Nestor to continue to secondary school. Ernest is quite a smart boy and excels in most of the subjects in school. He soccer and other games. His favourite color is blue. His favourite meal is a dish of corn fufu and vegetables. Loh Bertilia was born in 2002. 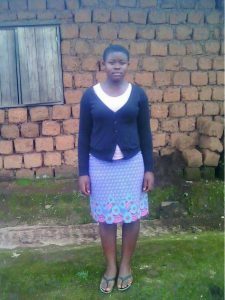 She is in form 3 at GHS Meli. The mother has no job and with other children to care for she finds it difficult meetings the schools needs of Bertilia. 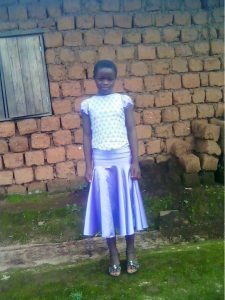 Bertilia manages to pay her school fees late, is driven from school often and does not have the basic textbooks. She loves the science subjects and is good in chemistry. Her favourite colour is white. She loves pepper soup and plantains. 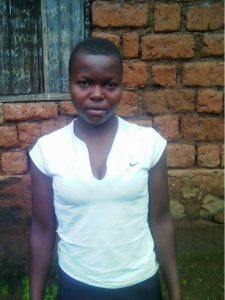 She will like to train as a nurse when she completes her education. Koin Armstrong Munteh was born in 2002. He has been helped by a relative. He is old and retired is unable to take care of the boy in school. Now that the boy is poised for secondary school it becomes a heavy burden. Armstrong loves sports, is good in Arithmetic. His favourite food is corn fufu and chicken.